Often times, the wheels of a car will become out of balance after an accident or extensive wear. Correcting the tire alignment of your wheels will ensure that the life of your vehicle can be extended. Wheel alignment service can, and should, be done periodically as part of your ongoing maintenance plan. If you are looking to extend your tire life, the professionals at Collision Specialists can help. With every extensive auto body repair, they will address this important issue. Meanwhile, if you suspect your wheels need an alignment check, don’t wait for further vehicle damage or an accident to occur! In the interest of safety, and long-range tire wear and longevity of your car or truck, bring your car into a trusted auto body shop for a wheel alignment check whenever you suspect the need. You deserve a fair assessment and guidance on the cause for your concerns, and to be explained to what is required to correct the tire alignment problem. Again, this is all in an effort to help you avoid further wear on your tire tread, and other more serious long term related vehicle wear and/or damages. Contact us to learn more about our wheel alignment services in Tacoma and Kent, WA. Strange wheel pull after you hit a curb. If you are experiencing any of these issues, it’s probably time to get your vehicle wheel alignment checked and fixed. 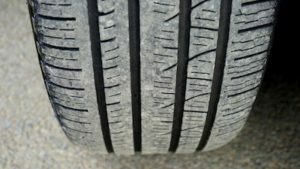 All of these conditions cause rapid wear of tires, are a driving safety hazard, and should be analyzed and corrected as soon as possible. If you want to learn about how to check the tread of your tires, click here. A wheel alignment will help the longevity of your car or truck. This also includes how long your vehicle tires will last.